Nirav Modi, the 48-year-old diamond merchant, is wanted in India for alleged "high value and sophisticated" fraud and money laundering amounting to USD 2 billion. 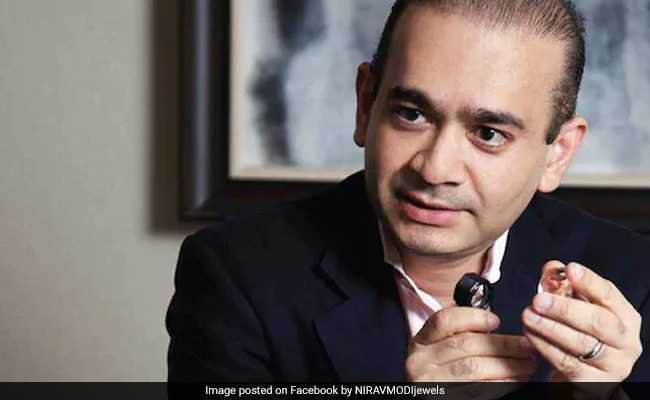 There were some light hearted moments at the UK court Friday when Judge Emma Arbuthnot hearing the second bail plea of Nirav Modi asked the prosecution whether the fugitive diamantaire would be lodged in the same jail cell along with Vijay Mallya if he is also extradited to India. The 48-year-old diamond merchant is wanted in India for alleged "high value and sophisticated" fraud and money laundering amounting to $2 billion. At the very start of the hearing, Westminster Magistrates Court Chief Magistrate Arbuthnot said she was getting a sense of "deja vu", in reference to her having ordered the extradition of Mallya in December last year. "Do we know which part of India he [Modi] is being sought in," the judge asked, to try and establish which jail Modi is likely to be held in. She was told by the Crown Prosecution Service (CPS), arguing on behalf of the Indian government, that it would be an extradition to Mumbai and that he may in fact be held in the same Arthur Road Jail as that prepared for liquor tycoon Mallya, to which the judge said in a light-hearted vein that it could even be the same cell as we know "there is space" from the previous video submitted during the Mallya extradition trial. India has informed the UK court that Mallya will be lodged in one of the high security barracks located in a two-storey building inside the prison complex. Authorities at the Arthur Road prison in Mumbai have kept a high security cell ready for Mallya if he is extradited from UK in connection with loan default cases against him in India. Mallya, wanted in India on charges of fraud and money laundering amounting to around Rs 9,000 crore, has filed his application in the UK High Court, seeking permission to appeal against an extradition order signed by the British Home Secretary. If extradited, 62-year-old Mallya will be lodged in the prison complex, which also housed 26/11 Mumbai attack terrorist Mohammad Ajmal Kasab. An official from the Union Ministry of Home Affairs earlier said Mumbai's Arthur Road Jail was one of the best in the country. His comments came after Judge Arbuthnot asked Indian authorities to submit a video of the Arthur Road Jail cell where they plan to keep Mallya following his extradition. The official said adequate medical facilities were available to treat prisoners in Arthur Road Jail, where Mallya would get full security cover as an undertrial prisoner and it was highly secured in accordance with international standards. The central government has already conducted an assessment of security cover given to prisoners in the Arthur Road Jail and its findings conveyed to the UK court. In another throwback to the Mallya trial, Nirav Modi's defence team, led by barrister Clare Montgomery raised the issue of the state of the paperwork submitted by the Indian authorities, claiming it "made her cry" at one stage. The judge concurred with her and was very firm about proper indexing of all documents to be submitted to the court in relation to the case.